Planes, trains, automobiles, bikes and boats, cruising our way through five European cities gaining new perspectives along the way. With each new city comes new views and highlights - so what better way to share the experience than through a story guide! A foodies dream come true. 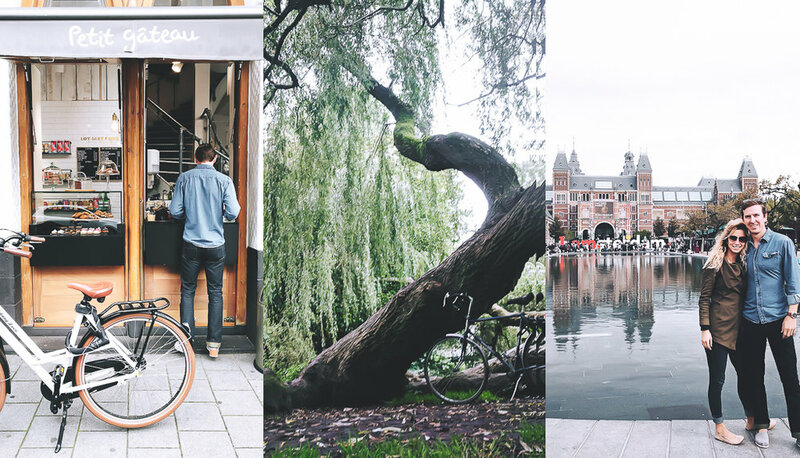 With cafes and eats around every corner, Amsterdam has much to offer in culinary experiences. The city is flourishing with traditional, fusion and healthy options nestled amongst picturesque canals and city centers. And perfect for those looking for healthy eats as vegetarian, vegan and health food offerings are plentiful! Favorite fusion/foodie restaurant: Avocado Show - their Instagram alone is sure to reel you in! Highly recommend bypassing the Uber app and hopping aboard a city train. And don't miss an adventure through Vondel Park! Pops of color and lined with art museums and galleries, Amsterdam bolsters a creative arts scene unlike many. With artists like Van Gogh and Rembrandt engrained in the country's history surrounded by design centric communities, pops of art and design are everywhere! Favorite museum: Van Gogh Museum, also located near the Rijikmusuem and Stedelijk Museum. Breweries, Beef and Beers. They pair quite nicely around the Netherlands. Including Heineken's flagship store, many breweries are tucked in amongst city lines and offer great eats -- far better than what one would consider "bar food." A 15-minute train took us to what was our favorite in environment, landscape and offerings, Brouwerij'tij. The brewery was built underneath a windmill with great outdoor seating and views of the canals. ALL THE TENTS! When we first seeded the idea of a trip to Europe our motivation was to attend Oktoberfest in Munich, Germany. We danced on tables to Bavarian music. Drank all the beer. Ate silly amounts of authentic German food...and drank even more beer. Each tent had something to offer so we used the official Oktoberfest app to help guide our decision. We crashed (quite literally) at The Tent in Munich which added even more to the 2-day experience - talk about living like college kids again! I'll be the first to admit I love a nature escape any day. 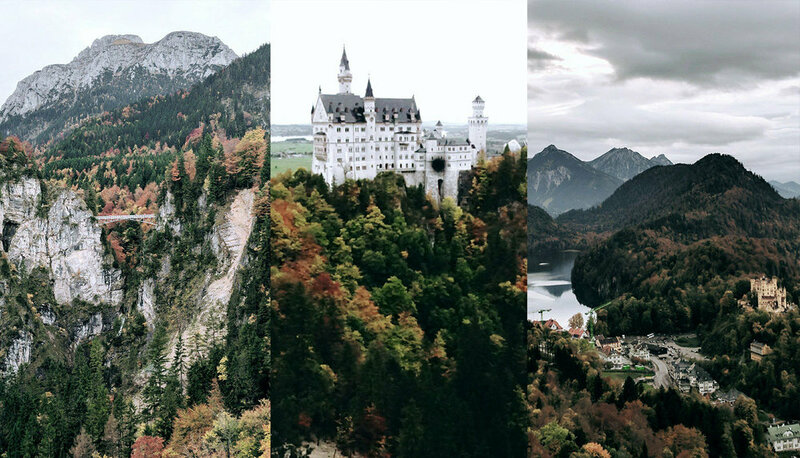 Discovering the Neuschwanstein Castle made for the perfect day trip with EPIC views. A great balance to city life just less than a two hour drive from Munich. While we were very fortunate to have experienced soo many cities, cultures and places; Prague was hands down our favorite. Between the history, food, city lines, castles, every bit was was incredible! With that, Prague now holds a spot at our top 3 favorite cities - yes it's THAT good! Would highly recommend looking into house boat rentals on Air BnB - they come with pet swans! Ahh, Vienna! For the beginning of the trip we had 2-3 days in each city leaving the last four days for down time and relaxation. Austria was perfect for just that! We landed an Air BnB directly in the heart of the city where we relaxed, shopped, drank, met some amazing people and experienced several museums. We quickly discovered down time isn't really our thing - especially when there are so many new worlds at our finger tips. So, to strike that balance, we found an awesome (and easy) day-trip to Bratislava, Slovakia. Cruising at 75mph down the Danube River, one of the oldest and only rivers to connect ten countries in the world, we reached the beautiful (and windy!) Bratislava. There are several companies offering day trips to Bratislava at different schedules, so find one that works best for you. If you make it down the river, be sure to grab a drink at UFO tower - the views and drinks are a perfect pair!